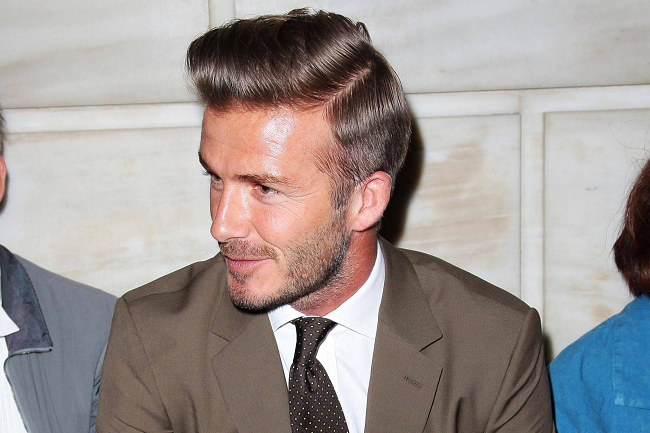 When it comes to hair styles, there hasn't been a celebrity quite like David Beckham. 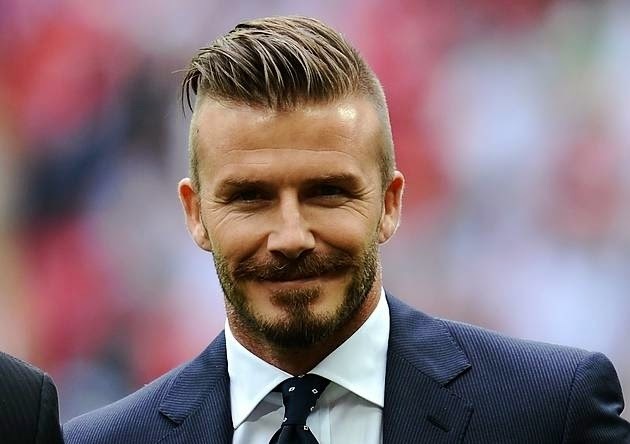 The former England superstar has been through more hair styles than most of us have had hot dinners, and no matter how ridiculous some of his cuts have seemed, Becks just seems to have a face that'll pretty much suit any style you throw at him. Here we take a look back at some of David Beckham's most iconic hair styles over the years, from his baby faced Manchester United days right through to the 2015 rugged and ready look. 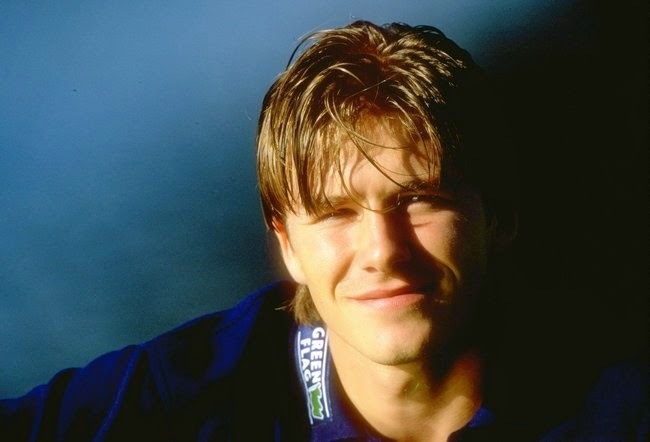 It all started so innocently for Becks at the beginning of his career, but while his team mates were sporting the short back and sides look, David was already standing out from the pack with his long, finely hanging locks. 1998 saw the worst moment of Beckham's career with that infamous sending off against Argentina at the world cup. 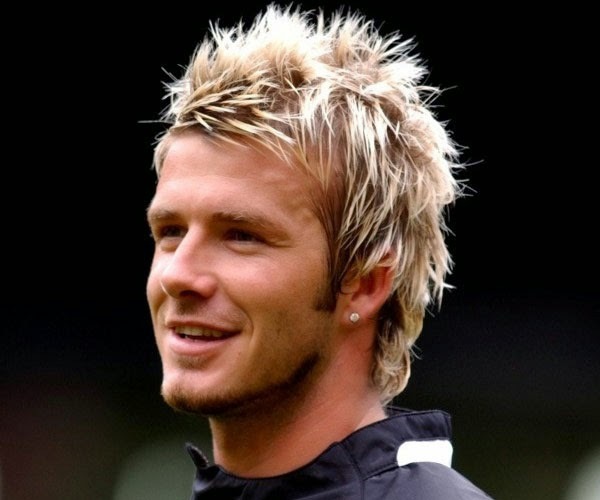 But for those of us who cared more about his hair than his footballing skills, this was also the year when Becks sported his first iconic hair style - the blonde curtains. 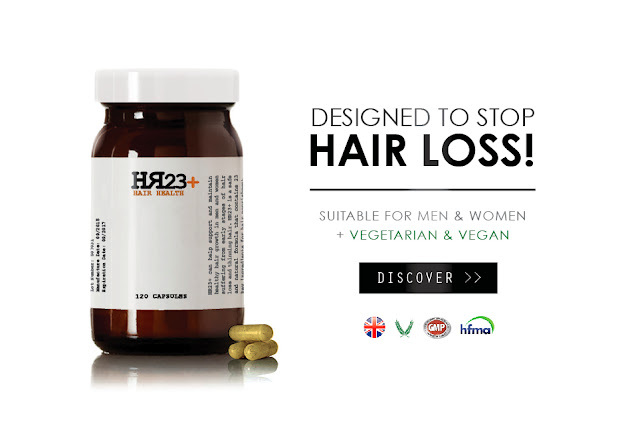 The most dramatic change of David Beckham's hair styles came when he grew tired of his blonde locks and shaved them all off in one go. 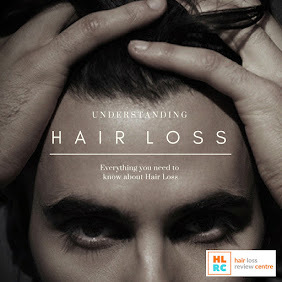 And before we knew it, the 'skinhead' theme instantly became the biggest hair trend across Britain. As cool as it was, Beckham's bleached and messy hair style didn't last very long either, despite the publicity it gained during the Commonwealth Games in Manchester. 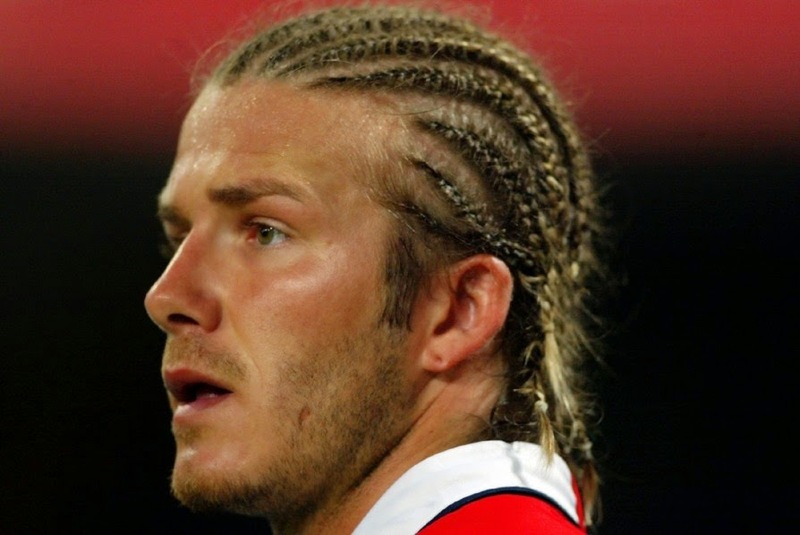 We'll always remember this particular year for the flying boot episode, but lest we forget Becks had a pretty decent hair style too. 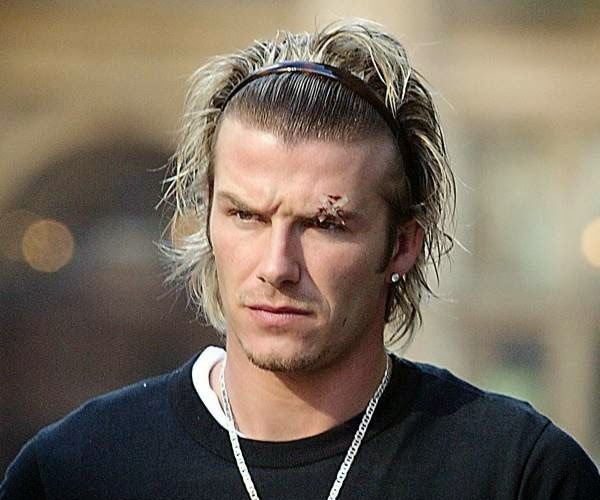 If there's one man that can make an alice-band look cool, then it's Becks himself. The braids came, they travelled to South Africa, and then they disappeared...forever, it seems. 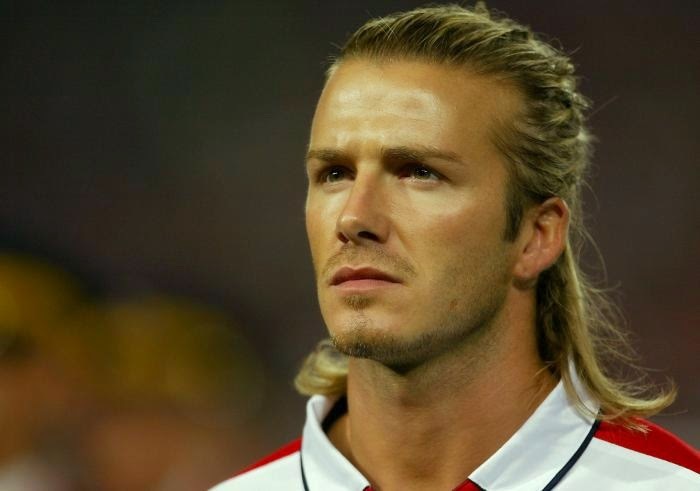 Yet another hair style that only Becks could pull off. The ponytail should have been David's biggest disaster yet, but it ended up being a hair styling masterpiece. It was perfect for his famous summer move to Real Madrid. 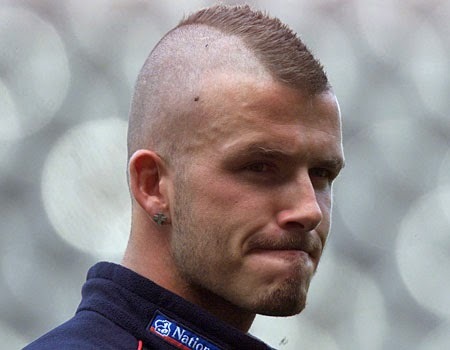 Ok, so even though he still managed to pull off this monstrosity of a hair do, the super long Viking hair wasn't one of Becks' finest hours. Still, fair play to the guy for having the balls to give it a try. A very groomed and contemporary David Beckham hit our screens in 2006. With a tidy hair style and a clean(ish) shave to match, surely Becks hasn't ever looked this clean cut. 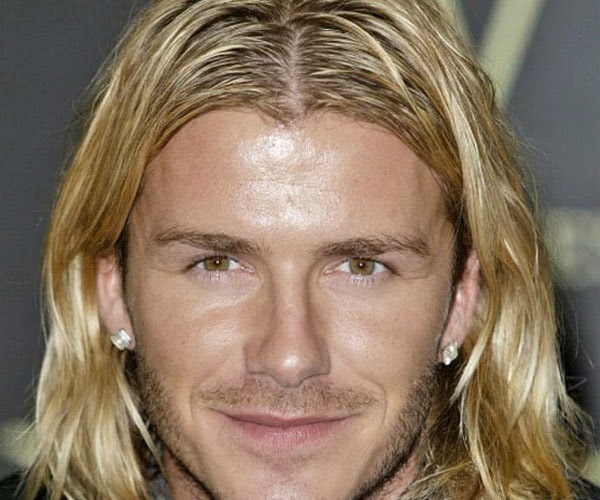 Becks celebrated his lucrative transfer to LA Galaxy with a very short and bleached hair style. It certainly made him stand out more in the MLS - not that he needed any further promotion. Classy, sophisticated and contemporary. Approaching 40, you could argue that David Beckham has never looked as good as he does now. If you're looking for the ultimate grooming style, then take a note out of David Beckham's book. 2004 Becks was the best.